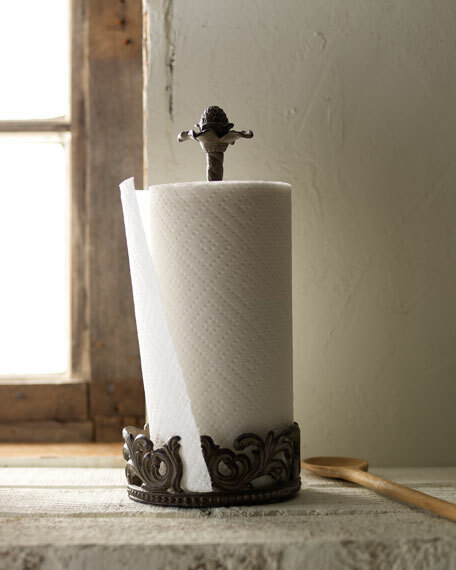 Post with ornate finial fits loosely in center twisted stem; does not screw on or fit snugly. G G Collection is the brainchild of two friends, Dixie Harrigan and Leigh Anne Baysinger, who wanted to make accessories for those who prefer classical decor to modern influences. 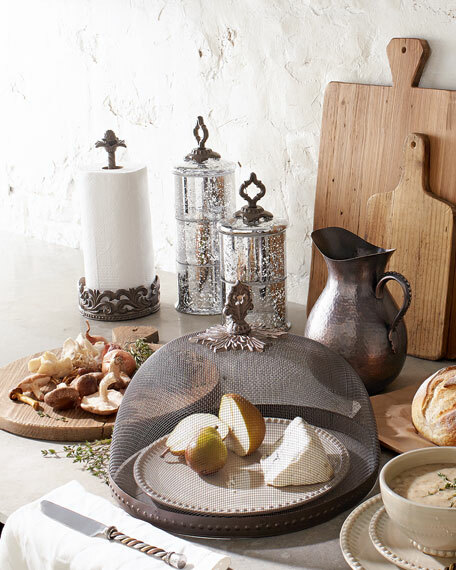 Together they started a movement for the revival of the classic European style, beginning with Tuscan-inspired canisters and spice jars, then expanding to include dinnerware and other decor. Their creative combination of metal, stoneware, and mouth-blown glass achieves the relaxed European-country style they were striving to create.